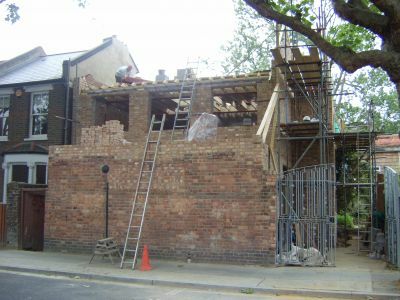 Building Regulations in Sevenoaks and London : Top 2 Bottom Surveying Services Ltd.
Top 2 Bottom Surveying Services Ltd. 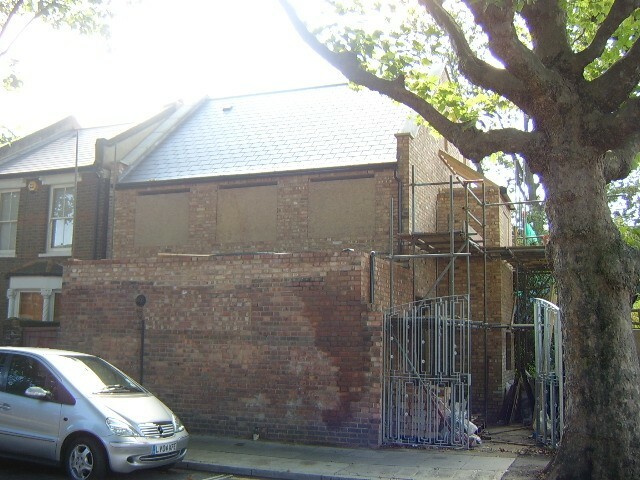 The existing single storey structure housed a fashion design workshop. 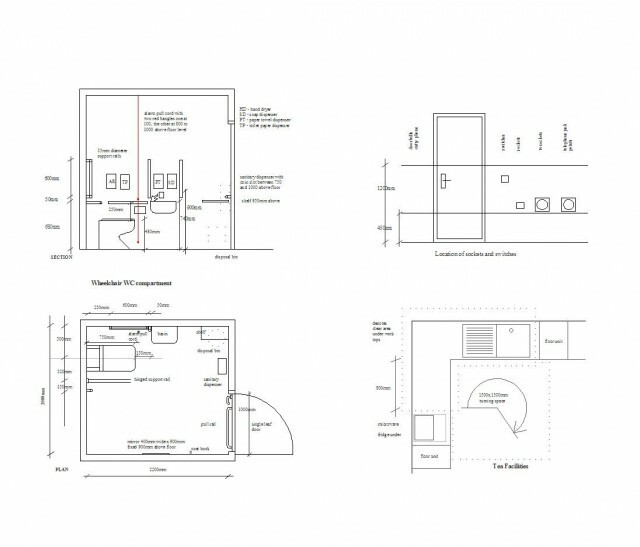 The clients brief was to expand the production floor area, provide disabled facilities and to provide living accommodation over two floors above. Structural beams and joists loaded into position for second lift. Slate tiles, yellow stock brick and parapet detail in keeping with surrounding area. Elevation drawings submitted to the Local Authority for Planning approval. 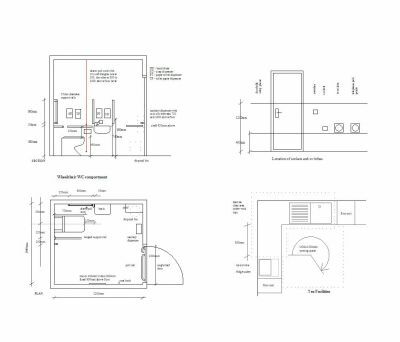 WC, kitchenette and services designed for wheelchair users. 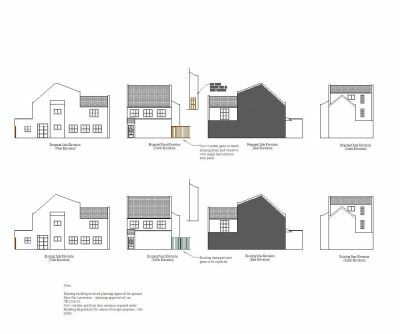 Copyright 2019 © Top 2 Bottom Surveying Services Ltd.